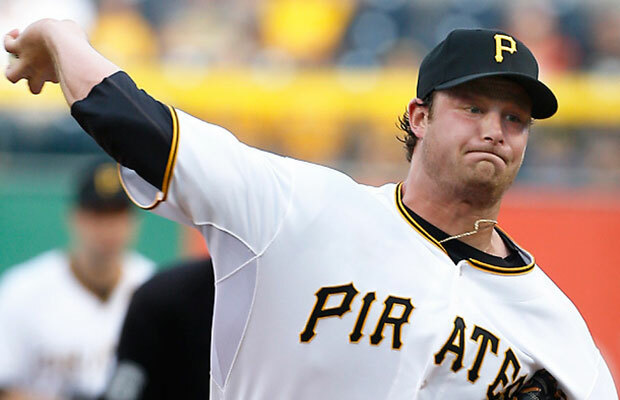 The Pittsburgh Pirates have placed young ace Gerrit Cole on the 15-day disabled list with right shoulder fatigue. The move is retroactive to June 4. The Pirates called up lefty Jeff Locke from Triple-A Indianapolis to start Sunday’s game against the Milwaukee Brewers. In 12 starts and 76 2/3 innings this season, Cole has gone 6-3 with a 3.64 ERA and a 1.30 WHIP. He has a 3.39 ERA in 194 MLB innings since making his debut last summer. Manager Clint Hurdle said there have been some signs in his past several starts that fatigue may have set in. The length of the DL stint means Cole is likely to miss his next two scheduled starts. “There’s been some indicators that have popped up that haven’t been the norm if you look at indicators from last year,” Hurdle said.